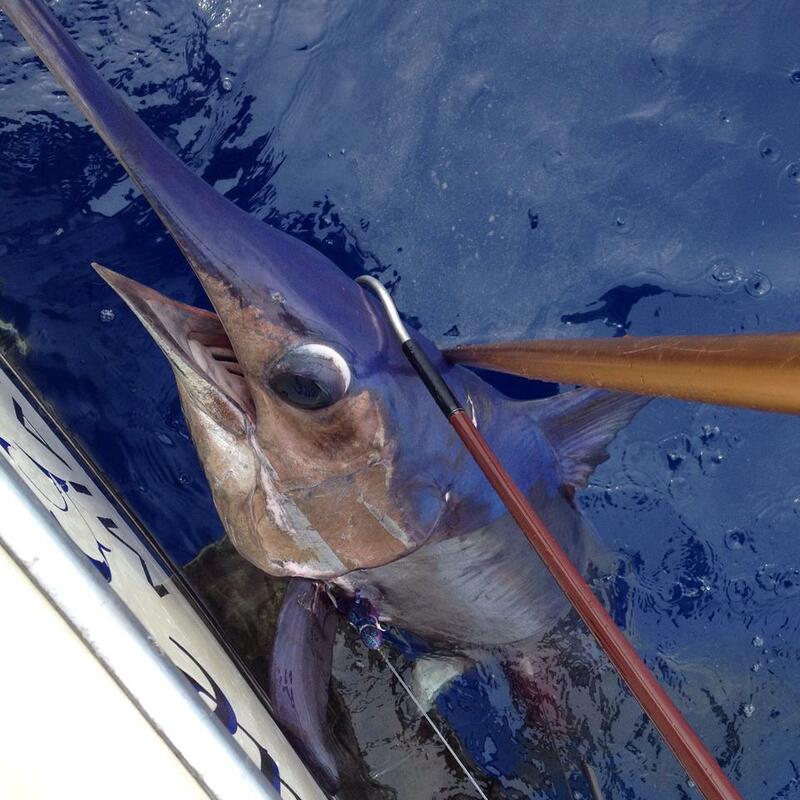 Our Miami daytime swordfishing charters offer both electric and manual methods of getting hooked up to big broad bill swordfish. 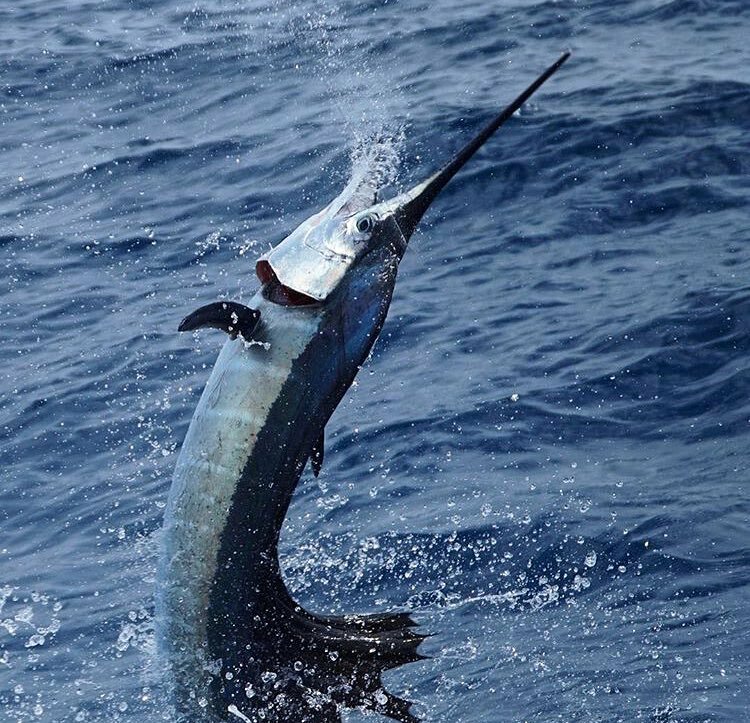 Since September we've experienced a consistent run of calm fishing days coupled with multiple swordfish bites as Fall took full effect. Over the course of four trips we were fortunate enough to have produced 7 bites which were all eventually brought to the boat. 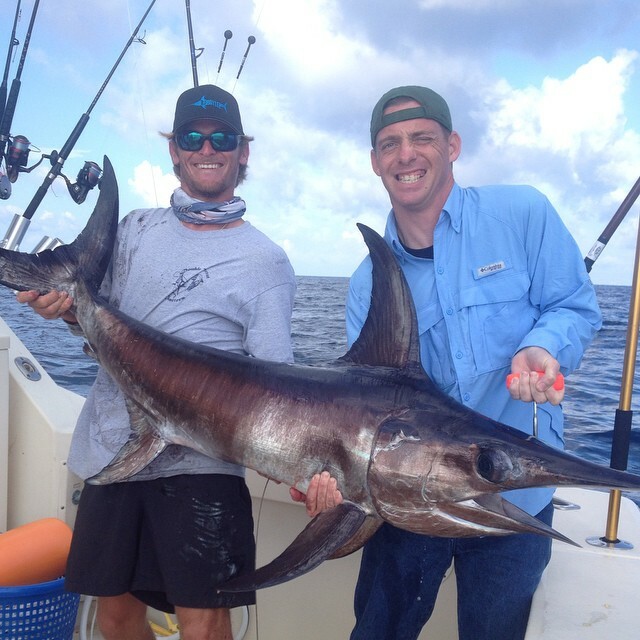 The onset of Fall signals many different migrations in South Florida, including a push of larger swordfish. While some individuals are still tried and true night time diehards, we have focused our efforts on capturing the elusive broad-bills where they hunt during the day. 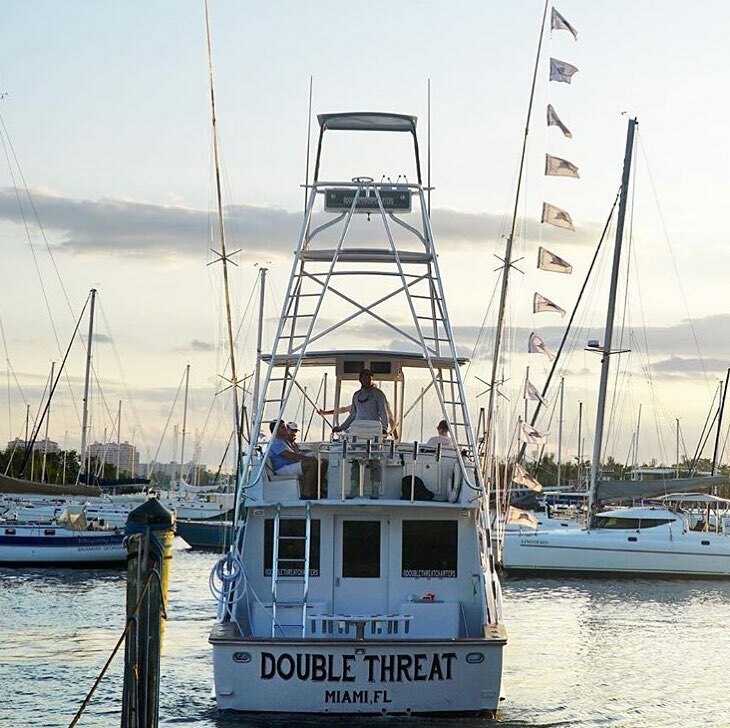 Our daytime fishery is easier and more comfortable to access, less wear on our passengers, and offers clearer shots of big fish in great visibility. We usually fish in depths reaching 1500'-1900' and employ a single bait on the bottom. Atleast 12lbs of lead is considered standard, and more is oftentimes used to offset heavy current. 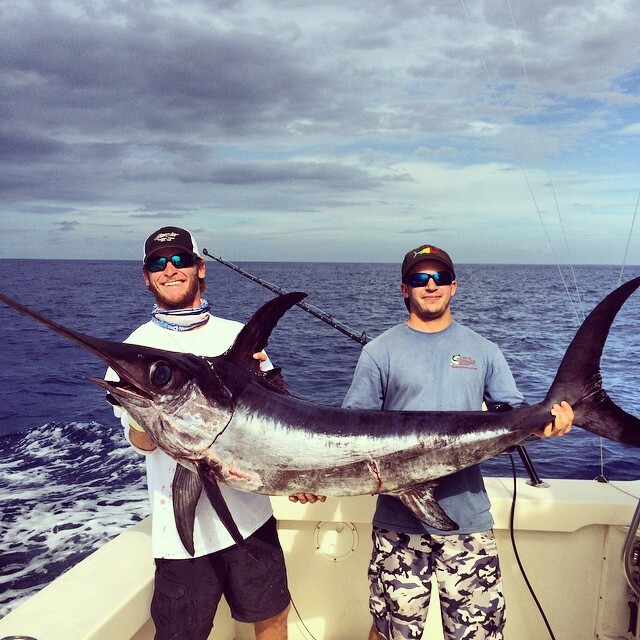 We consider swordfish the most difficult fish to find, hook, and land in South Florida, and our crew aboard the Blue Yonder loves the challenge. Its always important to remember that even though the fishing may seem boring at times, that one lone bait at the bottom could get tapped by a 500lb Swordfish at any moment. It's always important to remember that the rigs we use could be pulling against large amounts of pressure for extended periods of time, so we don't skimp on our tackle or connections. We have most of our reels filled with 80lb braided line and topped with custom rigged 150' 300lb wind on leaders. The wind on leader terminates with a 600lb swivel crimped to the end. Our bait will be connected to this swivel via a 6' 300lb leader. During most of our most recent charters we have used a mixture of sewn squid, mahi, and bonita bellies under skirts for baits. All three are tough enough to withstand the drop and the violent attack of a sword. Even though the bites aren't much more than slight taps on the rod tip, the sword is whacking your offering multiple times. If the bait doesn't stay together, the sword may lose interest and move on without eating it. Most of our arsenal of line, terminal gear, baits, and hook choices are consistent throughout most conditions regardless of when we would drop a bait. The only true decision that is made before we make our drop is whether you are going to choose to fish with an electric reel, or the manual option. By far the most efficient way to fish the bait throughout the entire water column is to employ the electric reel. 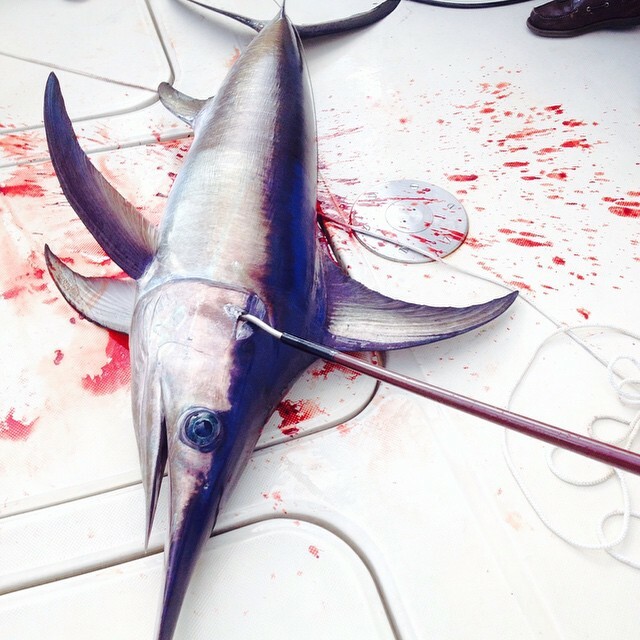 It simplifies lifting and dropping the bait, as well as retrieving it the entire way up to the boat (whether its attached to a swordfish or not). The manual rig is meant for the determined angler that doesn't mind a challenge. 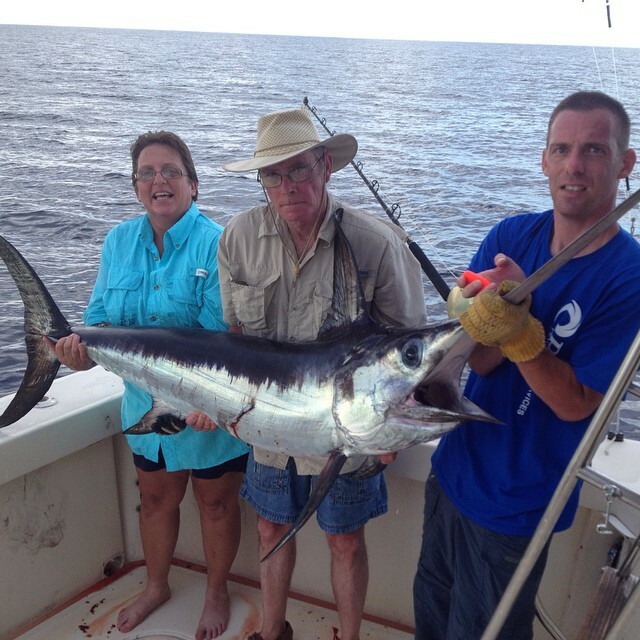 Manual fishing has produced some very large fish for us, including a very large thresher shark and some big swordfish. Using an electrical assist attachment that connects our Tiagra 80w to a 1 hp mud mixer is a big help when retrieving the bait all the way back to the boat when a fish isn't attached. Either way you choose, we provide both options to get hooked up. 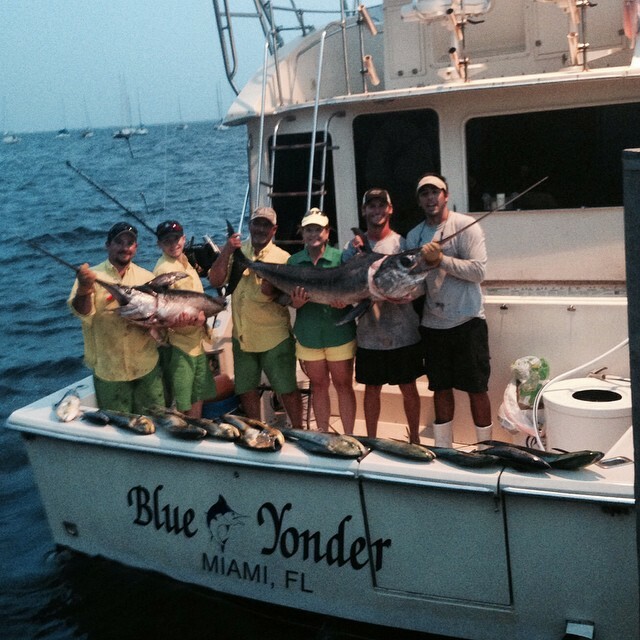 Feel free to give us a call or shoot an email if you have any questions about our Miami Daytime Swordfishing Charters. 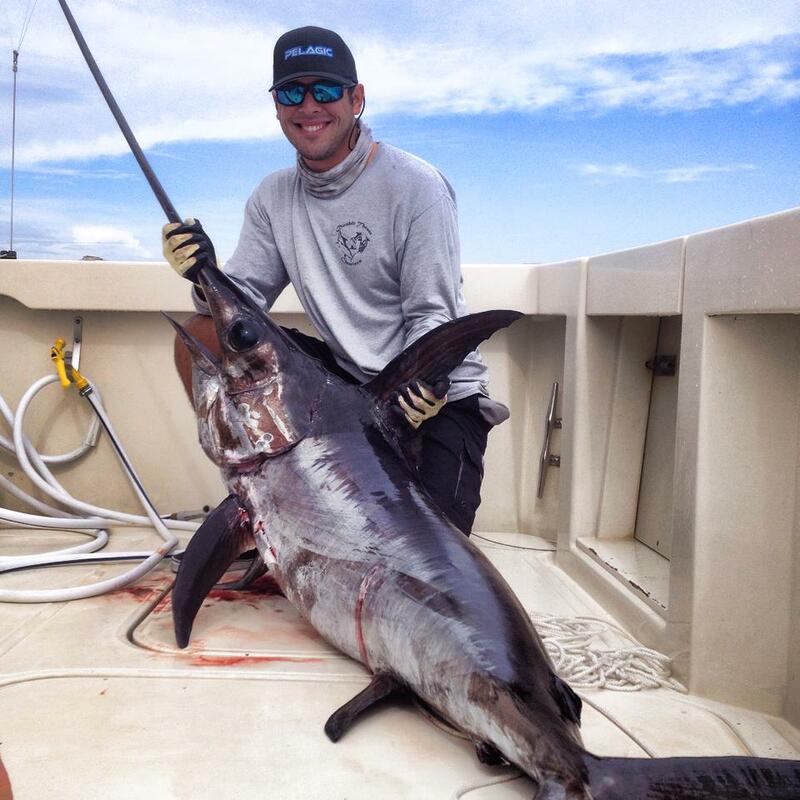 We enjoy targeting broad bill swordfish any time of the year, but our Fall run usually provides better opportunities to score big fish. 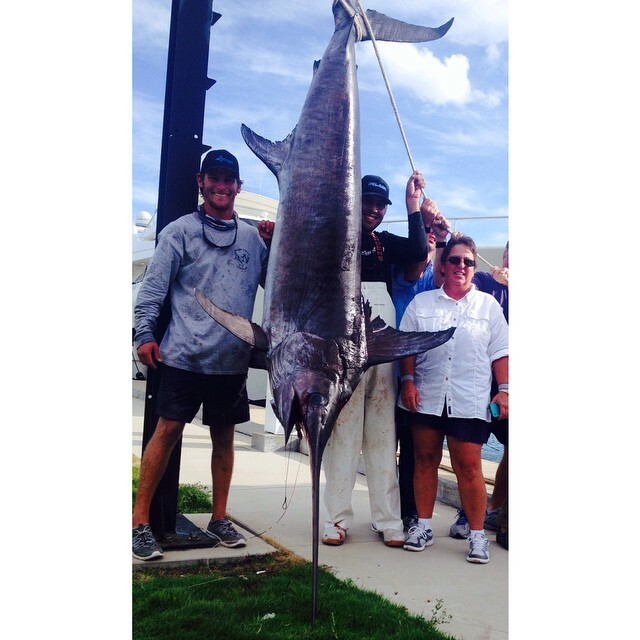 Let us know when you want to get out on the water and try landing one!